Charming musical tone combines with minimalist design to create a delightful practice instrument at an affordable price. The proportions and dimensions of the Lincoln are designed according to the specifications of the American Guild of Organists. 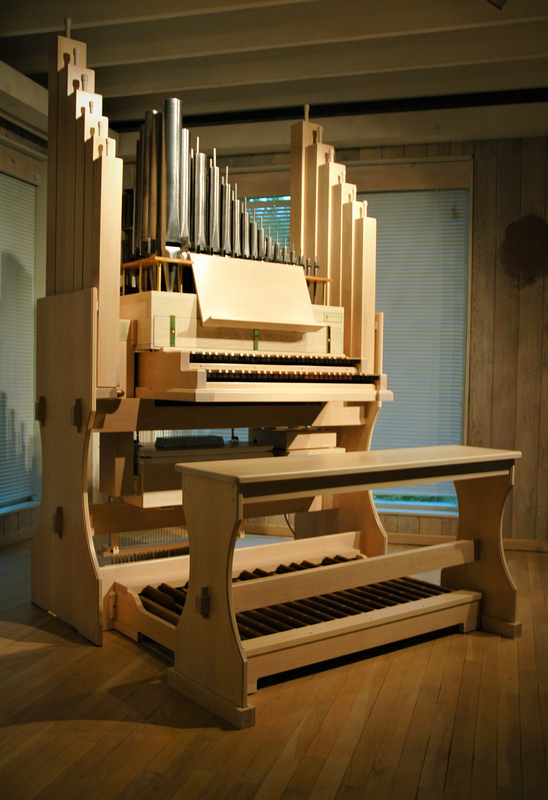 Players can rehearse in the comfort and convenience of their home, and will find it easy to transition to the larger organ in their church. The contrasting flutes give variety to the practice session and offer solo and accompaniment possibilities. The exposed pipes give this instrument a rustic charm appropriate for any home or loft apartment. The lack of stop action, coupler action, and case help keep the Lincoln affordable. 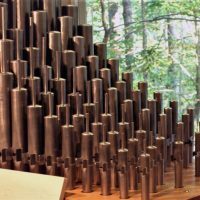 True to its namesake, locally sourced white oak is used throughout the organ, but other hardwoods may be chosen instead.